Home / Product Categories / Gear / Strollers / Silver Cross COAST Stroller – Flint **Coming April 2019 – Pre Order Now! 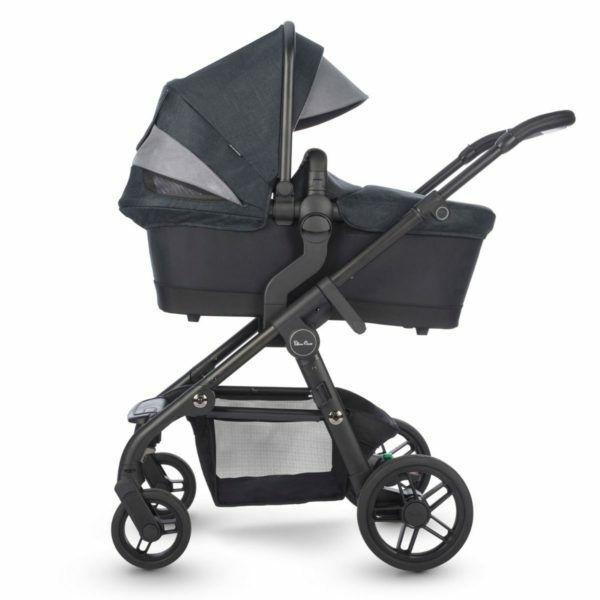 Silver Cross COAST Stroller – Flint **Coming April 2019 – Pre Order Now! 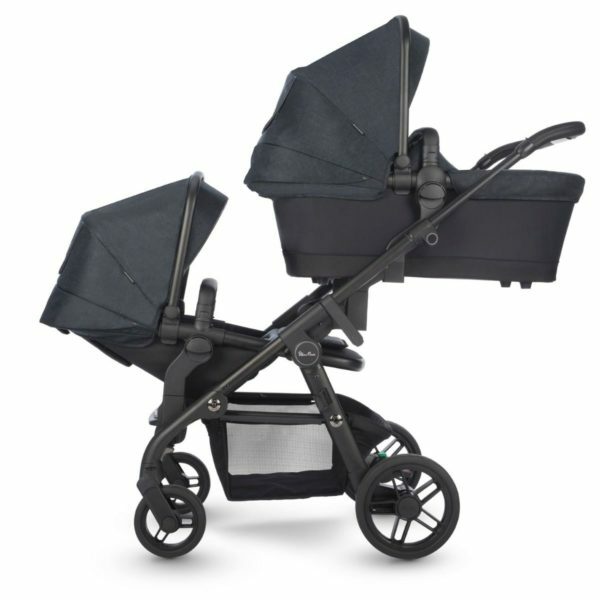 Effortlessly stylish with pared back detailing, Coast is Silver Cross’s lightest and most streamlined single to double stroller. 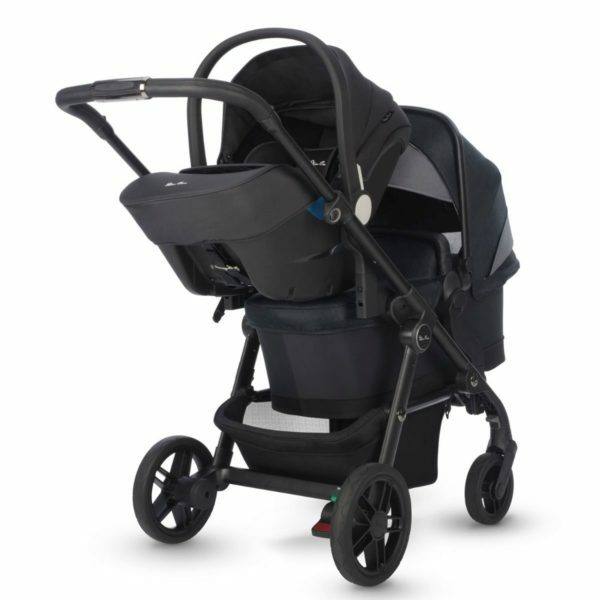 Tailored for a contemporary finish, it has a sleek black satin chassis with high quality fabrics in a palette inspired by the earth’s elements. 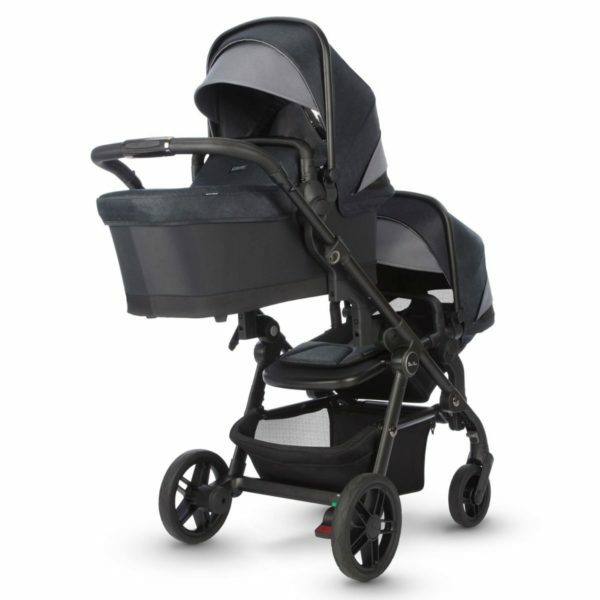 Coast is purchased as a single stroller with a bassinet and reversible seat unit. 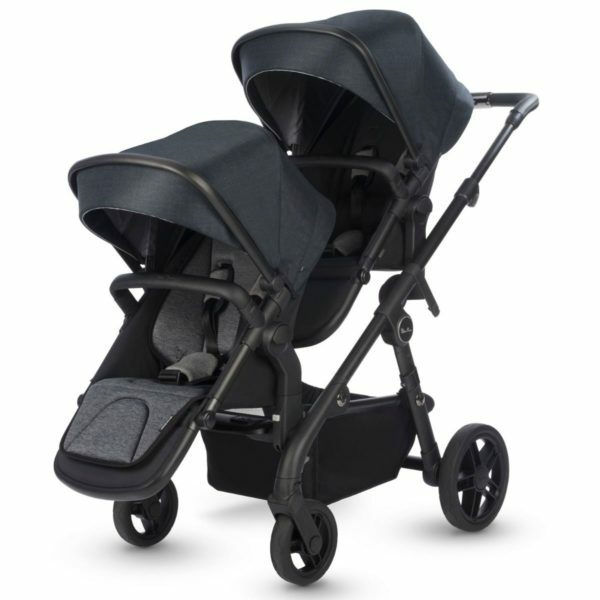 By adding the optional tandem seat or car seat (both sold separately), Coast becomes a One plus One double stroller to carry siblings. 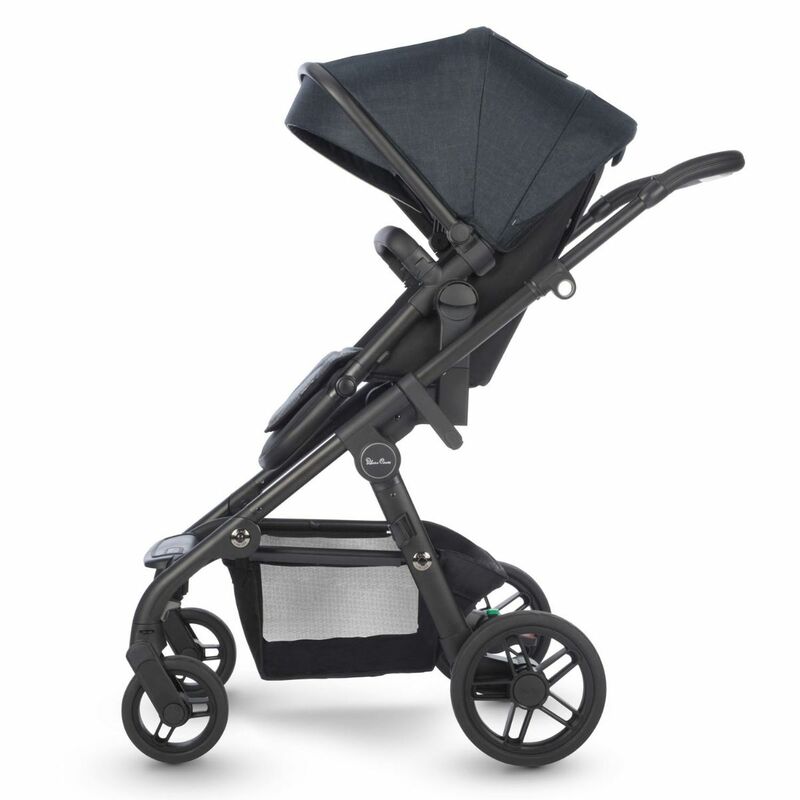 Coast’s magnesium and aluminum frame is designed for strength and durability with a four-way suspension, smooth easy-action fold and multi-height handlebar. 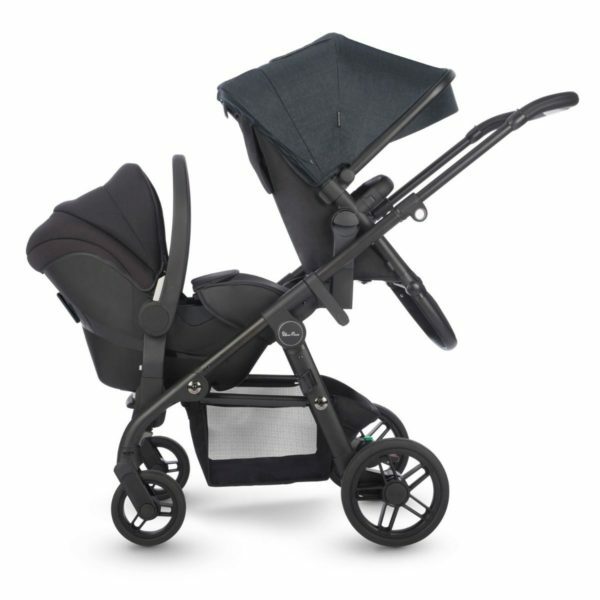 The seat and bassinet benefits from a patented two height riding position, including an elevated position to bring your baby closer to you. The elevated stroller seat is ideal of feeding, as well as parent interaction. 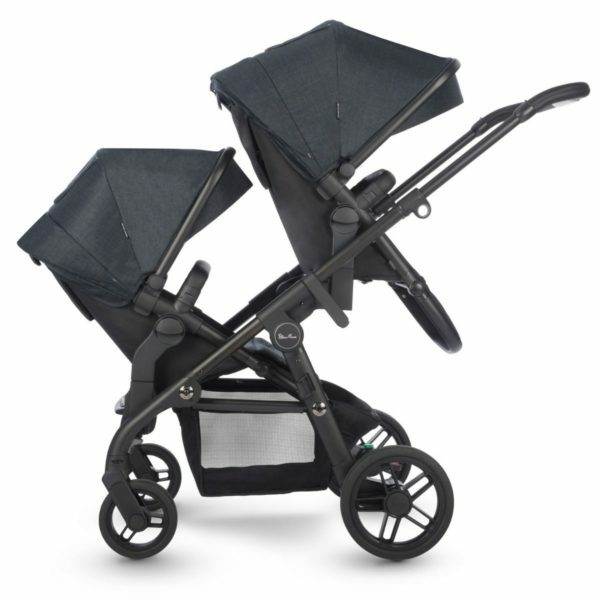 Travel system ready. Maxi Cosi, Nuna PIPA and Cybex infant car seats can be attached directly to the frame. 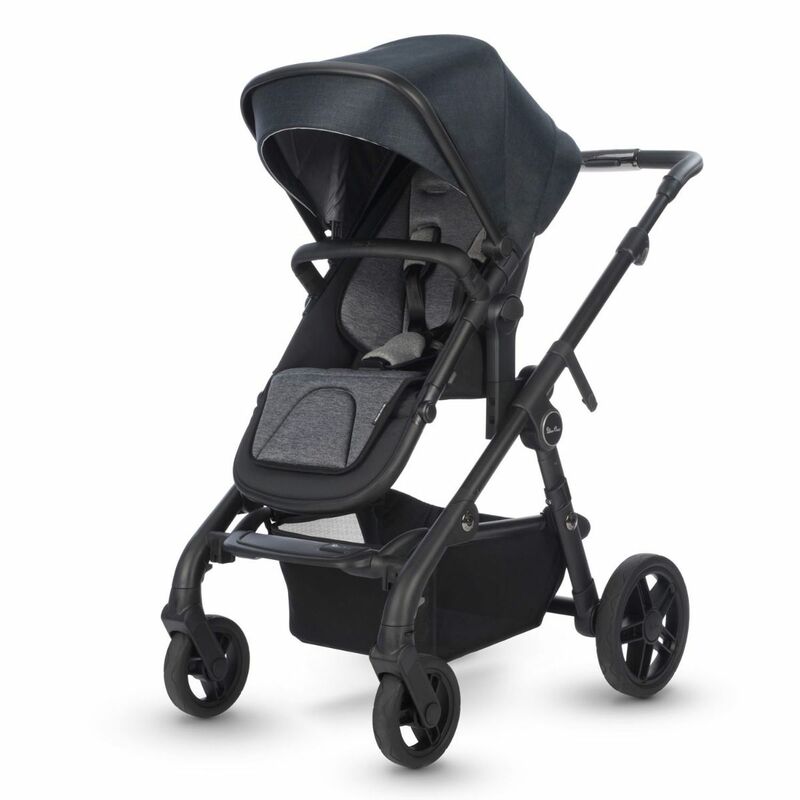 For other makes and models, car seat adapters are available (sold separately).